With over 35 years of research and development experience in casting technology, Dr. Mahi Sahoo (left) and Suraja Consulting focus on improving your productivity and your competitive advantage in a challenging market environment. We specialize in process development and optimization (especially in non-ferrous alloys) and casting defect analysis to solve your casting problems and produce premium quality castings. To implement these solutions, we advise on business development plans, budgeting, project management, revenue generation and management of people so your next project exceeds expectations and stands out among the competition. 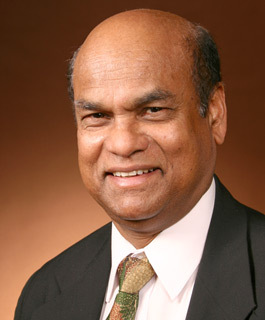 Dr. Sahoo is a leading expert in casting technology with over 35 years of experience and over 250 peer-reviewed publications in the field of metallurgical science. Dr. Sahoo is recognized internationally as a leading expert in casting technology with outstanding contributions to R&D that put Canada at the forefront of the industry. Dr. Sahoo has published many innovative ideas to produce premium quality castings through alloy development, process optimization and gating and risering design.